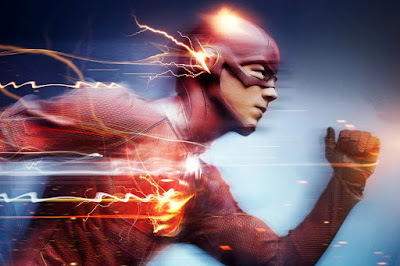 Spinning off from it's popular sister show, Arrow, The Flash largely succeeded from escaping Arrow's long shadow within just a couple of episodes. Where it took nearly its entire first season for Arrow to fully embrace its comic book origins and leave behind the teen soap conventions of its home network, the CW, The Flash arrived fully formed, as its creators confirm in the new blu-ray set's only audio commentary. It has done so by turning its back on the dark, brooding atmosphere popularized by the Dark Knight epics that Arrow emulates. Instead, The Flash feels sunny and optimistic, largely a credit to the enjoyable bumbling geekiness of its nice-guy star, Grant Gustin, and his interpretation of CSI tech Barry Allen. It's a show whose occasional X-Files creepiness never really exceeds Goosebumps-level frights, making it ideal for family viewing, a fact which I can personally attest to (my wife and kids love it as much as I do). The intrigue of a monarch marshaling his forces against an insurgent has been fodder for exciting movies stretching back for decades. When the soldiers are only an inch high and the battlefield is a chessboard the chances of eliciting the same thrills are much, much lower. 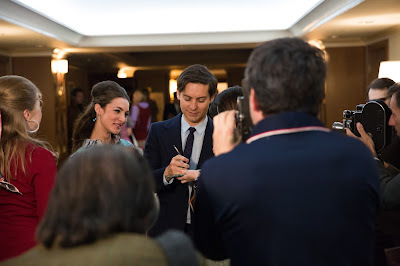 Fascinating as it is, Edward Zwick's Pawn Sacrifice misses the mark often enough to keep it from being a full-on masterpiece. On occasion though, this spare biography of tormented chess grandmaster Bobby Fischer (Tobey Maguire) and the performances of its dynamic ensemble cast are riveting.